On April 15th, Urban Initiatives’ spring volunteer season kicked off with an enthusiastic team of Corporate Coaches from ComEd. 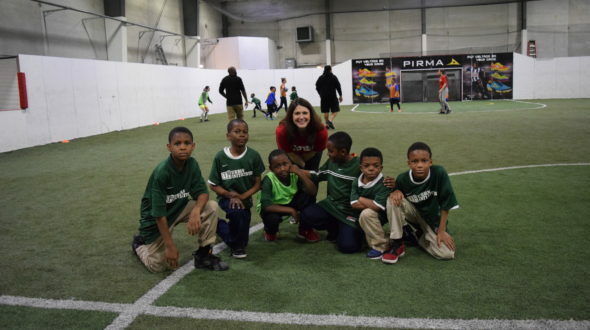 As teams from Davis, Jackson, and Jahn Elementary arrived to Chicago Indoor Sports, it was hard to tell who was more excited—our eager group of volunteers, or Team Jackson as it was their first Game Day ever! After warming up, the players grouped up into smaller teams and were introduced to their ComEd coaches. They immediately bonded by deciding on team names like The Blue Bears, Little Rascals, Barcelona, Jackson 5, and The Flyin’ Eagles. 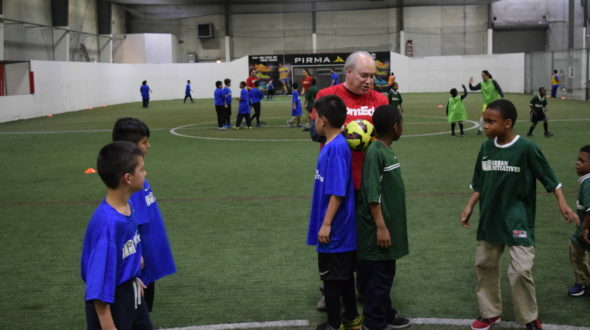 It was a great learning experience for both the kids and adults, as our players were able to share some of the soccer skills and lessons they’ve learned over the first few weeks of the season with their new coaches. 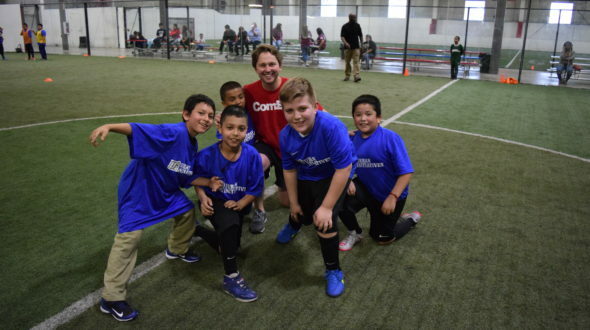 Throughout the series of scrimmages, ComEd volunteers cheered on their teams, encouraged teamwork and positive sportsmanship, and even joined in on the fun by playing with our teams for a game or two. There was a fun moment when the players were coming back from a water break and they started practicing their penalty shots on their ComEd coaches! After four rounds of games, the players and coaches gathered in small group discussions about commitment, communication, and teamwork. 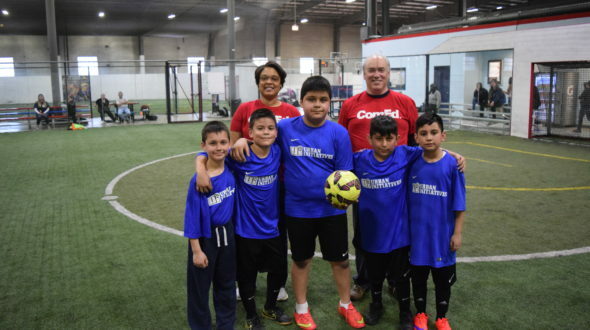 ComEd volunteers were able to provide our players with some of their insight and wisdom regarding these topics, as well as motivate them to continue striving for success both on and off the field. A huge thank you to all the ComEd volunteers that came out to make our Week 6 Game Day a major success!